Emphasis on pressure, support, balance or 1,2,3. Making play predictable. 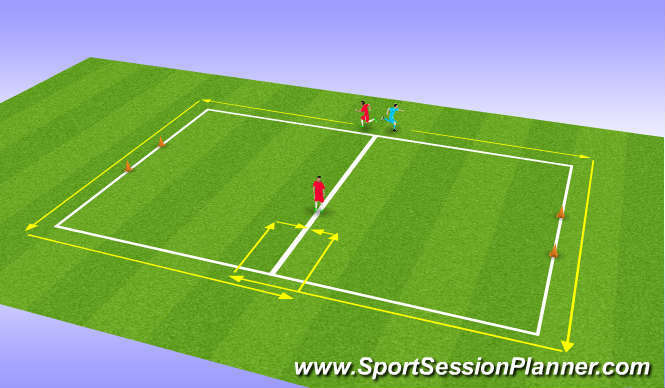 Recovery runs, individual defending.Angle of approach etc. In threes nominating pressure,support & balance people. Sprint half a grid & in to score. emphasising pressure, support & pressure. Crossing players overlap & Deliver. Defenders have to clear up to second penalty area. 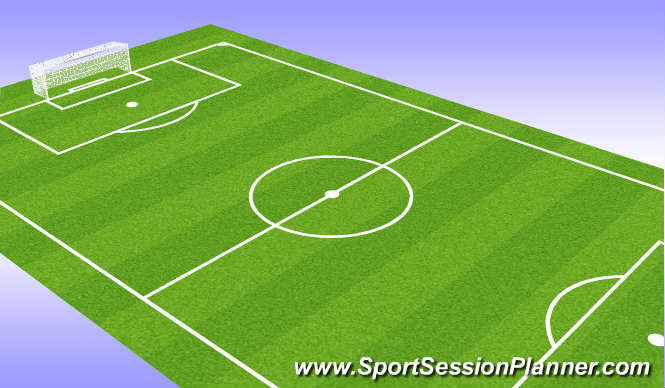 If not attackers pick ball up to try and score and involve crossing players. The techniques form an individual and collective veiw point of pressure, support & balance. Pressure, Support, Balance. Recovery runs, perdictable play. Communication/ Individual & collective. Aerobic and anerobic combination in conjunction with balance & agility. An excellant display in terms of desire to learn. Players displayed a good attitude to learning, effort & also a good skill level in &apos;attacking&apos; defending technique that was poor was healing and the ability to &apos;switch on&apos; as the ball changed feet.